Following the likes of TV on the Radio’s Kyp Malone, Interpol’s Paul Banks, The Strokes’ Julian Casablancas, and Lou Barlow, Clap Your Hands Say Yeah frontman Alec Ounsworth is currently putting together a solo effort of his own. On October 20th, Anti- will release Mo Beauty, Ounsworth’s 10 track solo debut. The guest heavy record is said to feature input from Galactic’s Stanton and Robert Water of the Greyboy Allstars, among others. 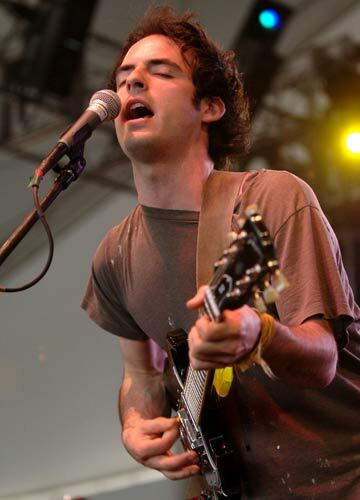 Back in 2006, Clap Your Hands Say Yeah! came virtually out of nowhere with their much blogged about self-titled debut, prompting a slew of critics to call them the first DIY success of the digital age. But their second album, 2007’s Some Loud Thunder was rather poorly received, and the band has since kind of drifted. But, perhaps CYHSY will be returning to the limelight soon. They recently performed a new song on Jimmy Fallon and are presumably working on a new album. In the meantime, Ounsworth has given us something to clap our hands and say yeah about.